Rifle caliber – 7.62 mm, rifle total length w/o bayonet – 1.31 m, w/ bayonet – 1.74 m, magazine capacity was 5 cartridges. 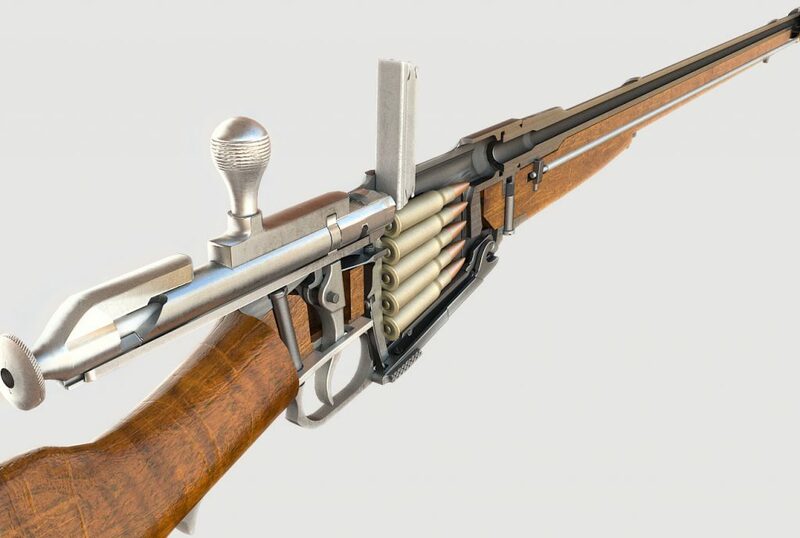 Weight without cartridges with bayonet – 4.3 kg, weight of a single clip with cartridges – 132 g. It shoots to a distance of up to 1920 meters with a muzzle velocity of 880 meters per second. To load a 3-line rifle slightly move the bolt left, then pull it back until stop, insert the clip into special slots in the receiver, recess the cartridges and remove the clip. Then sharply move the bolt forward and fix it by rotating the grip to the right. After that the rifle has been loaded and can fire a shot. To shoot a 3-line rifle just pull the trigger. To make another shot the loading procedure must be repeated. Such manipulations enable the rifle to be loaded by sending a cartridge into the breech chamber with a sharp bolt movement. 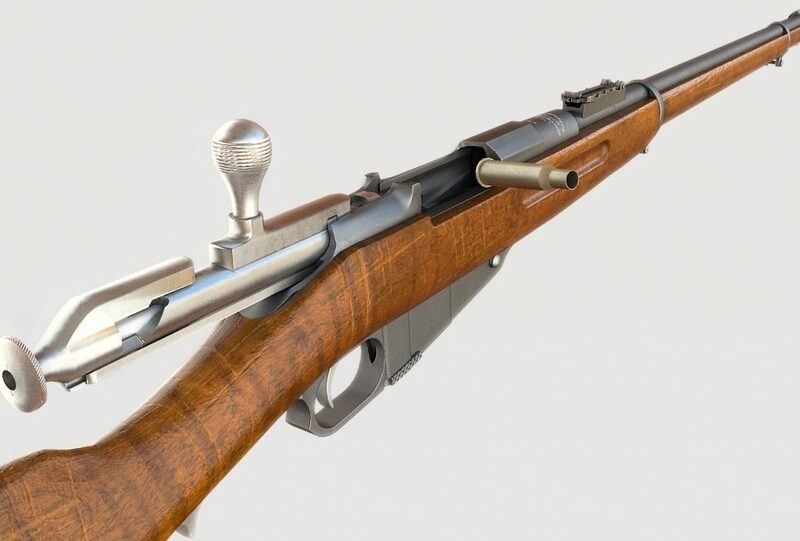 The unique Mosin-Nagant rifle, dubbed a 3-line rifle by the people, deserved that nickname due to the barrel caliber. It was equal to three lines at the time. In late 19th century line was a definite measure of length, equal to 1/10 of an inch (2.54 mm). The original caliber of 3 lines was equal to 7.62 mm. The rear of the 3-line barrel has a breech chamber into which a cartridge must be loaded prior to a shot. The original 3-line rifles had in their breech end of the barrel the factory stamps for date of manufacture and the manufacturer. To aim before firing a shot the 3-line rifle has a fore-sight and a frame-type back-sight. Fire could most effectively delivered to a distance of about 500 meters. 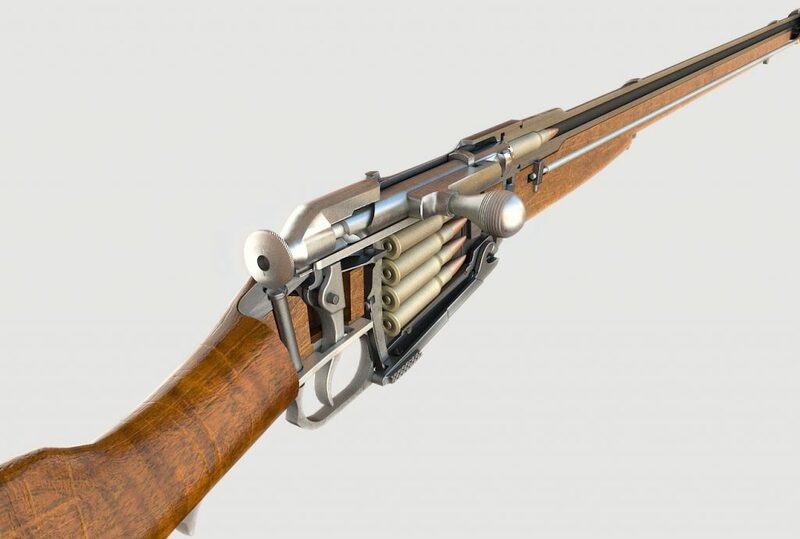 The 3-line rifle stood apart by the shape of its comb and bolt grip that were used in reloading. A tender for repeater rifle development was announced in the Russian Empire in early 1883 to replace an outdated Berdan rifle. A dedicated committee was set up for testing the prototypes. The very same year, Sergei Mosin submitted his new rifle with rack-and-crafts magazine for 8 rounds. The weapon was based on a 1870 rifle. in the trials Sergei Mosin offered improved rifle versions, finally with the magazine capacity of 12 rounds. By 1890, the gunsmith produced a unique specimen with the median magazine that showed outstanding results in the tests. Mosin-Nagant rifle was a top pick in the tender. Following definite approvals and tests, the Mosin rifle was released for service with the Russian Army in 1891. The key advantages of the 3-line rifle include its ultimate simplicity, highly convenient use, supreme reliability of all mechanisms and maximum shooting precision. Already in 1893, the Tula Arms Factory launched mass production of the rifle under the guidance of Sergei I. Mosin. All domestic arms factories of the time had no capabilities or capacities to manufacture more than 3,000,000 rifles required to completely refit the army. Therefore, a French arms arsenal in Chatellerault received an order to make 500,000 rifles. 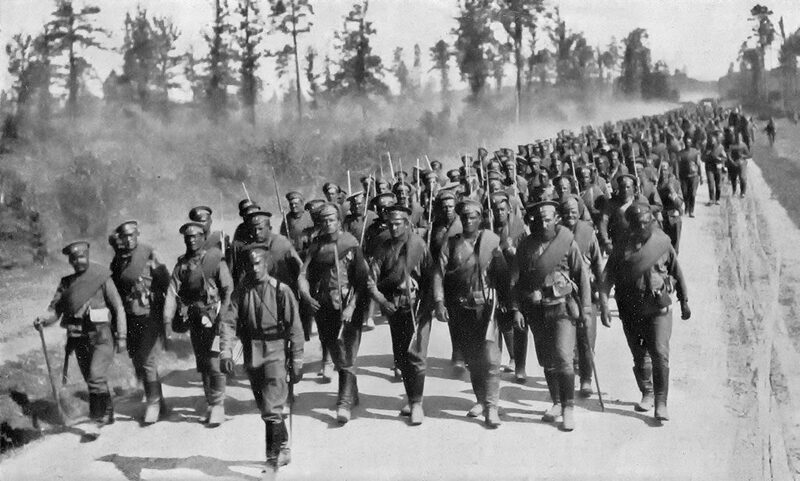 During WWI, 3-line rifles were produced for Russia by U.S. companies Remington and Westinghouse. Nowadays, 3-line rifles manufactured in France or the USA are perceived as true rarities. 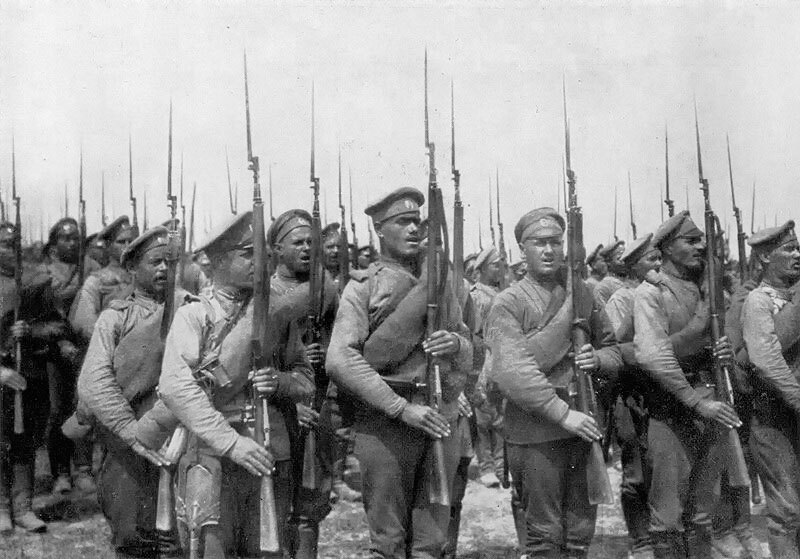 Detailed analysis of 3-line rifle all-time production (all modifications) indicates the following figures: 214,000 in the Russo-Japanese War, more than 1,600,000 in WWI, and 900,000 in the Russian Civil War. The output throughout the entire production history of the 3-line rifle stands at 37,000,000 pieces. The weapon was used by the Russian Army fr over 50 years. 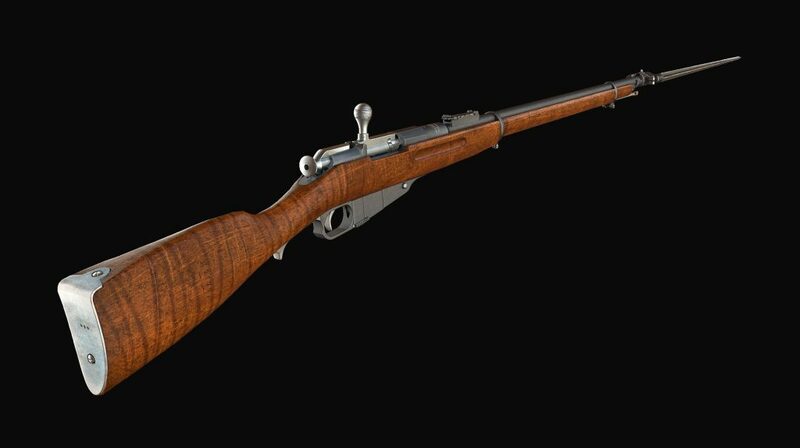 By 1930, the original 3-line rifle was slightly upgraded and accepted into service as model 1891/30. 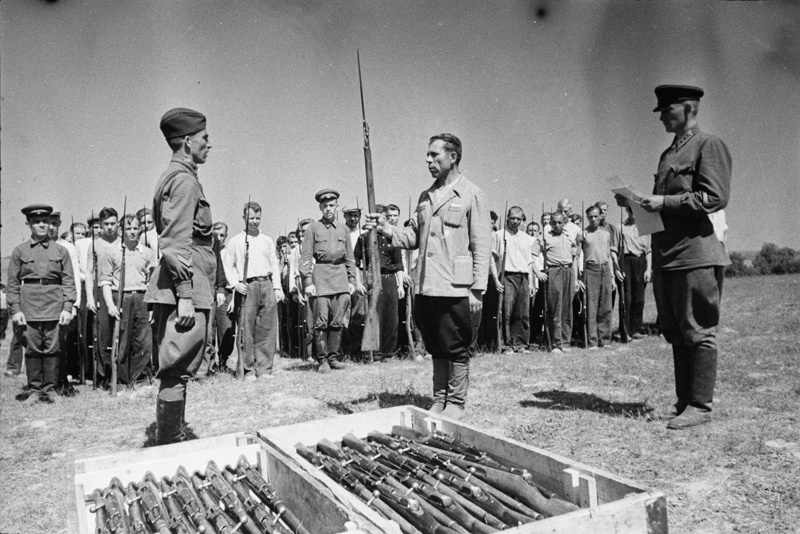 The rifle basis proved to be immensely successful and was the source material for a multitude of modifications, inter alia for snipers or civil hunting. 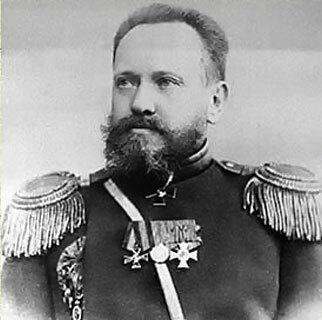 A contemporary prize awarded to recognize the merits in the domestic defense industry was named in honor of Sergei I. Mosin. The award ceremony is annually hosted in Tula.